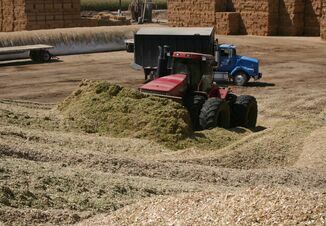 When silage is opened at feedout, it is exposed to air (oxygen) allowing aerobic organisms that survived the ensiling process — e.g. bacteria, yeasts and molds — to grow. The growth of these spoilage organisms can reduce both the quantity and quality of the silage available to feed, or even render some of the silage not edible. It’s important to minimize these losses and retain as much valuable silage as possible. 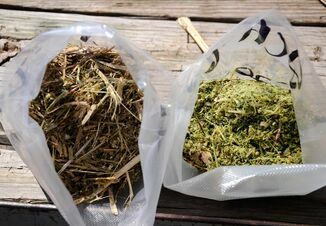 The rate and extent of the spoilage depends on the extent of air ingress into the silage and the levels of spoilage organisms present in the forage. While these losses occur during feedout, actions all the way back to harvest time contribute to the situation. Management attention while preparing and filling silos can help reduce losses due to oxygen. For example, producers can line silos with plastic to help prevent oxygen from percolating into the silage mass. If producers are using bags to store silage, they should check them regularly for holes or tears and make any necessary repairs immediately. During filling, it is important to achieve at least minimum packing density targets to force oxygen out of the forage mass. Using a research-proven forage inoculant can help prevent aerobic spoilage. Inoculants that contain Lactobacillus buchneri 40788 at an effective dose can help address stability challenges at feedout. In fact, L. buchneri 40788 applied at 400,000 CFU per gram of silage or 600,000 CFU per gram of high-moisture corn (HMC) has been uniquely reviewed by the FDA for improved aerobic stability. Finally, feedout management is important to maintaining quality. 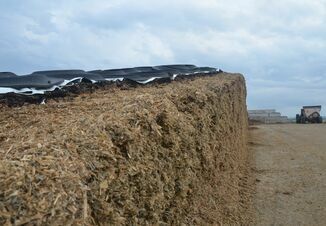 Livestock producers should remove silage with techniques that minimize air filtration. For example, defacers and rakes do not cause fracture lines that allow air into the silo. In addition, feedout rates should be managed to avoid silage heating and may have to be adjusted as ambient temperatures increase. Silage should be removed at the rate of at least 4 inches during the summer and 3 inches during the winter to stay ahead of spoilage. Remember, oxygen and silage are natural enemies! Keep the two away from each other for improved feed quantity and quality. Ask the Silage Doctor at QualitySilage.com, @TheSilageDoctor and at facebook.com/TheSilageDoctor if you have questions how to keep air out and quality silage in your feed bunks.